Feel that your time is respected throughout your visit; that you are seen in a timely manner in the waiting room, in the exam room, or when making a new appointment. Are cared for by a staff that works as a team for your needs. Closed during San Francisco City holidays. 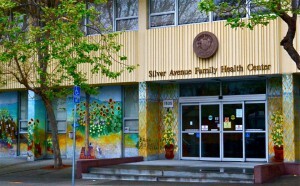 Welcome to Silver Avenue Family Health Center! Bienvenidos a la Clínica familiar de Silver Avenue!